I’m very excited to be sharing with you our first ever guest post! Today, freelance copywriter Bianca Marieta Budau explains how writers can use social media in conjunction with their writing portfolios to market their work and, as she puts it, “turn your online portfolio into an internet celebrity”. You’ve created an online writing portfolio, now how do you get it “out there” so it shines in the spotlight? As online writers, this is a question that haunts us (or at least it should). We know we’re good, but DO THEY? Go where your clients are. You have to be where your clients are. This is true whether you are a bricks and mortar company or the best online writer out there. Be where your clients are. And it just so happens that social media is a goldmine of potential clients. This is why an online portfolio for writers is perhaps one of THE best tools. The trick is getting those potential clients to find you. Search isn’t the answer. While your online portfolio will be indexed by Google, it will not occupy a great position in search engines at first. And with the ongoing changes that Google is implementing into its algorithms you need to take your product (i.e. you) and put it in the face of your prospects. You need to promote it. The social media “trend” is no longer a fad; it’s a fundamental (and fundamentally wonderful) part of how the internet works. Everybody is using it – businesses, business owners, ordinary people, kids, adults, seniors, clients, corporates, singers, actors, cooks. You’re probably using it, too. But are you using it to the best effect for your writing career? This is where your online writing portfolio comes in. Here’s how to link up your online portfolio with the most popular social media accounts so you can start using these channels more effectively for marketing your work. 1. In the “About Me” section. Add a link right before you start describing yourself; it is an indicator for people who visit your page to also click on that link and find out more about you and your work. 2. Add the link in the Biography or Description sections. Depending on what type of Facebook Page you create for your business (Business Person, Company, etc) you will be given different options. As you can see in the image underneath, I only included a link to my website once, but you can do it as often as you like. … and you can create it in a few simple steps, by following these instructions. Once you created your business profile you can add your writing portfolio as your website. Google+ is growing to be one of the most popular social platforms out there, and many people are using it for business. LinkedIn was created especially for business networking, so you shouldn’t ignore it. 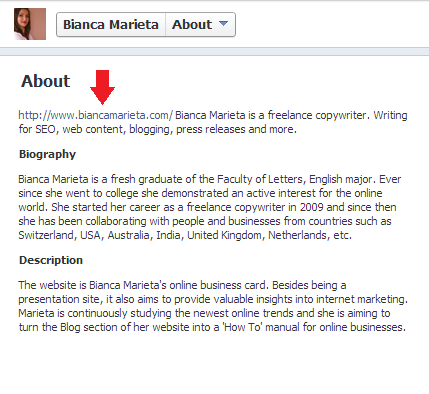 You can add a link to your online writing in the Experience section or in the Summary area. 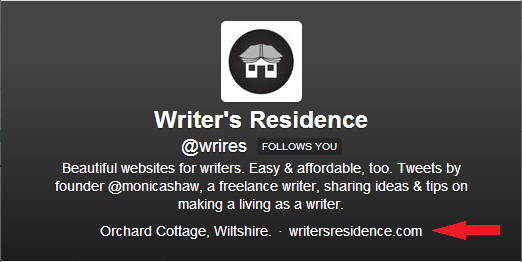 On Twitter, this is simple: add a link to your writing portfolio to the website area of your Twitter profile. This is the first thing people click on when they want to know more about who they’re following. Are you already using social media platforms to promote your portfolio? What platforms are you using and how often do you post? Did you notice any improvements as far as traffic is concerned? 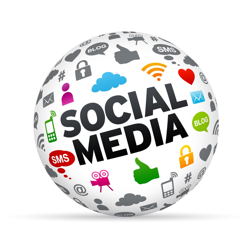 Let me know if you liked this article and if you’d like more information on how to use social media to your advantage. 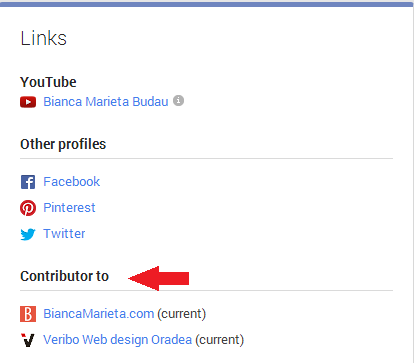 Bianca Marieta Budau is a freelance writer and online journalist interested in Online Writing, Social Media, Internet Marketing, SEO and Mobile Marketing. Marieta has been working as a freelance copywriter since 2009 and is currently collaborating with several companies worldwide (such as Super Savvy Business Australia and Veribo Romania). 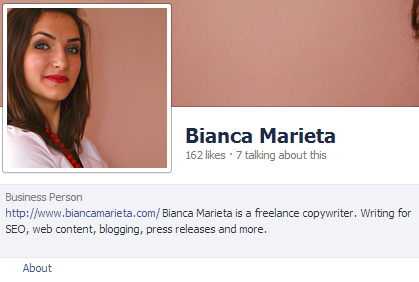 You can follow Marieta on her website at http://www.biancamarieta.com.